Photo courtesy of Robbie Brooks. 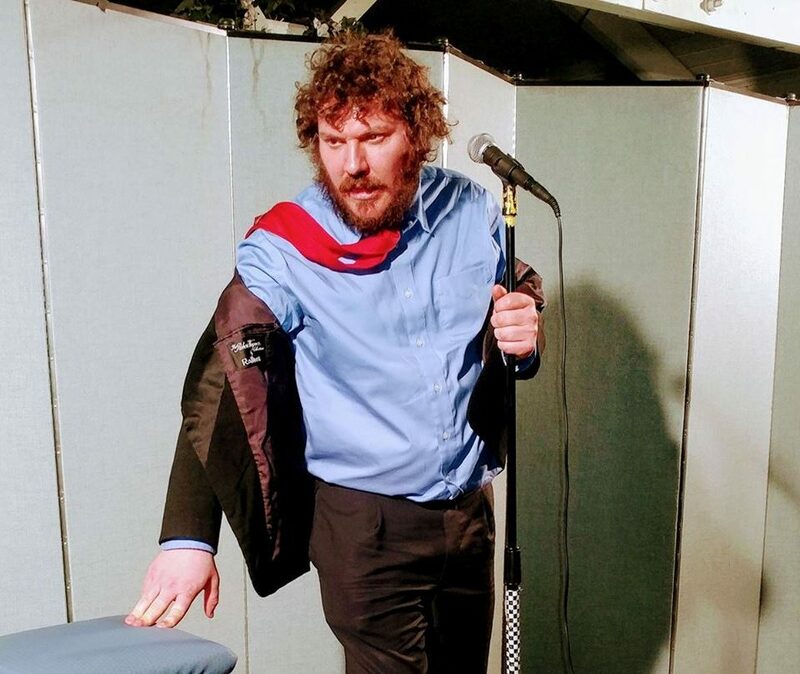 There’s passion and then there’s “get in line at 2 for the open-mic” passion. The second one, that’s Robbie Brooks. While some people get into comedy for fun, some get into comedy for a career. Brooks was born for comedy, quite literally. Brooks dabbled in stand-up from a young age, but it wasn’t until a chance conversation at a comedy club in New York City that he decided that comedy was where he was meant to be. You see, he looks like a comedian, and he decided at that point that he couldn’t possibly be anything else. Since he was a kid, he was an admirer of Rodney Dangerfield, Richard Lewis and Gary Shandling. Like them, he says, “You don’t have to pity me, I’ll do it myself.” In 2014 he found himself in New York City, and “I wanted to go to Dangerfield’s,” Brooks says. “Comedy had always been in the back of my mind.” He was just excited to get in and see a show. “The guy at the door starts talking to me and says, ‘You look like a comedian’.” Brooks does look like a comedian— jovial, quirky, like a well-adjusted and sober John Belushi or Artie Lange. “I get everybody,” he says. “How am I supposed to feel about this?” The door guy insisted it was a good thing, he had after all been hanging out there since the ‘80s, so if there is anyone who is an authority on it, it’s going to be this door guy. Brooks decided to give it a shot, but had to get out of New Orleans, where he was living at the time. “I decided to move to Utah and found Wiseguys,” he says this was when he decided it was time to finally just do it. The first time he hit the stage was June 2016. “I’ve been sick ever since. It’s a sickness,” Brooks explains. Now, you’ll see him doing a variety of shows from Ogden to St. George, showing up in line to get on an open mic list at 2. He currently works with high school kids as a tracker, a kind of mentor. But his sights are set on comedy full-time. “I want to do this as a career. There’s nothing else. I didn’t go to college.” He’s a man with a plan, and a passion to execute. “I’ll be happy if I’m just working clubs, touring. I want to keep it down-to-earth, keep it fun. I’d love to be on TV , but I can be happy doing on the road stuff. It’s what I love. It’s my passion,” he says. He’s learned a lot from that first step on stage to now. “One of the things I’ve had is that I have a speech impediment. I used to talk really fast. 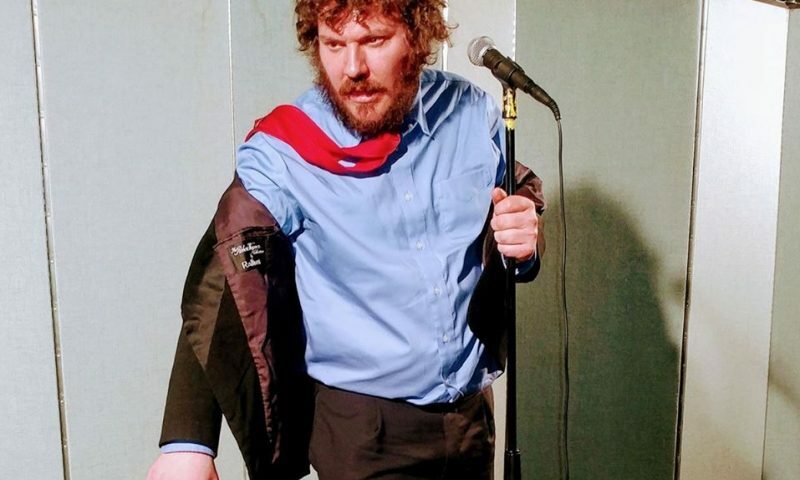 Now I kind of stop and take a breath.” He puts the work in and pounds the pavement when it comes to being serious about stand-up, “there’s no short cuts,” he says. You can see Robbie Brooks perform January 29th at Wiseguys From the Far Side of the Mic. The show is only $5 at Wiseguys, Downtown at the Gateway. Show at 7, doors at 6. 21+. “It’s going to be goofy, it’s gonna get weird,” he says.